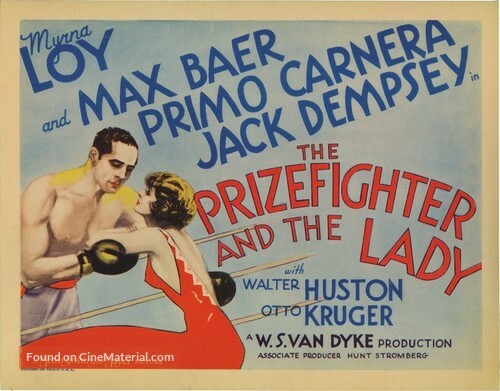 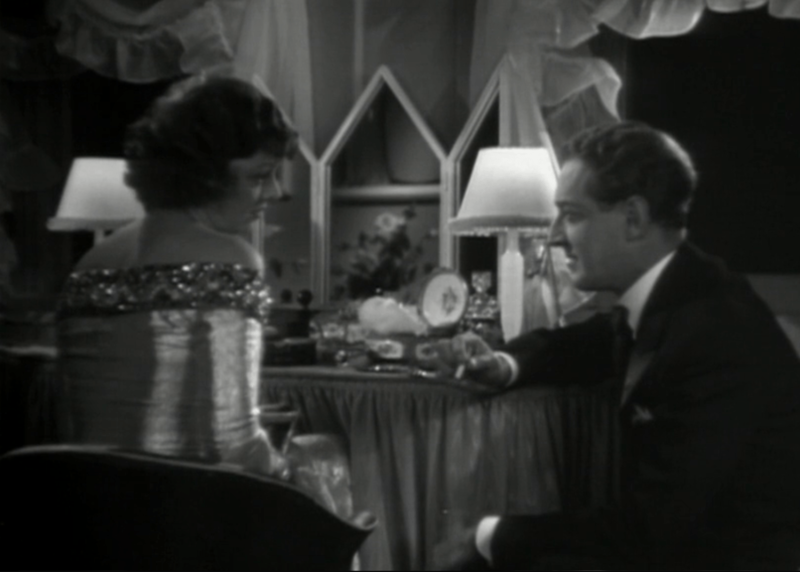 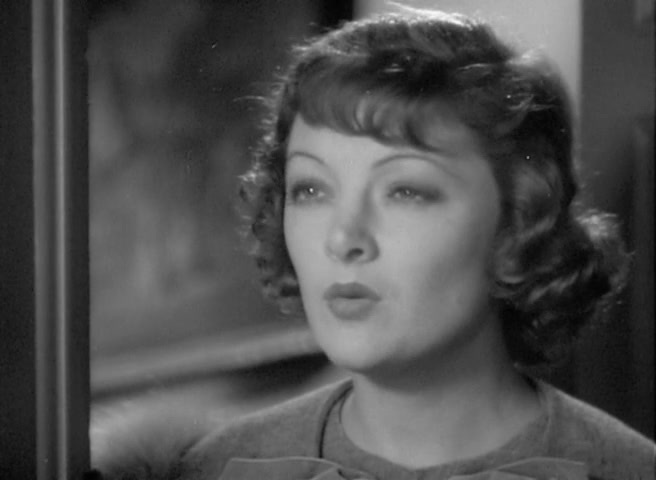 Myrna Loy in a screencap from The Prizefighter and the Lady (1933). 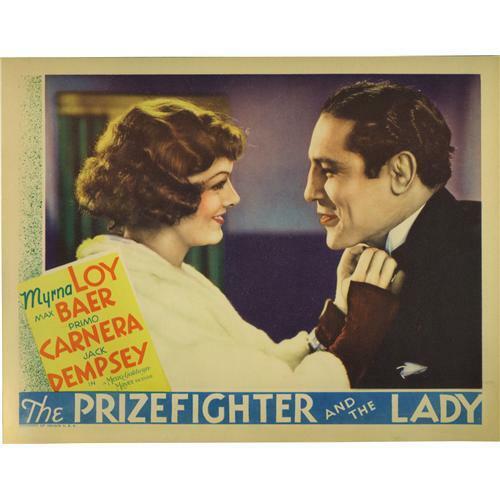 She was miscast in a part originally created by Howard Hawks for Jean Harlow. 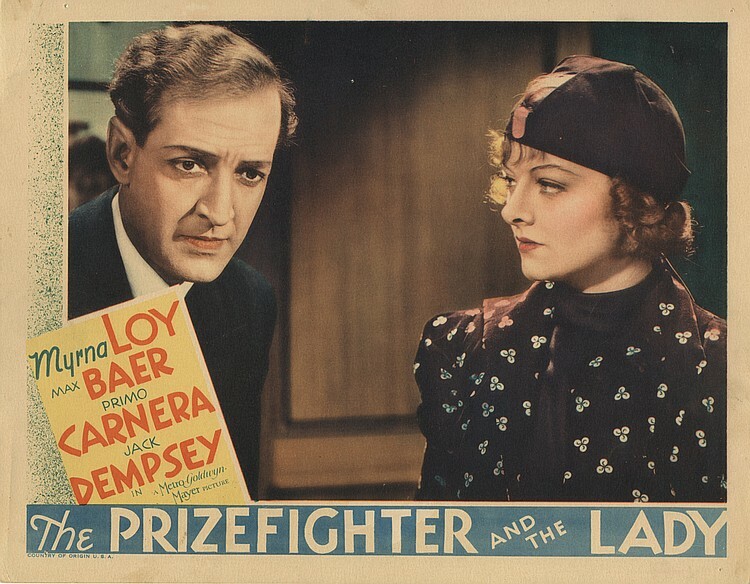 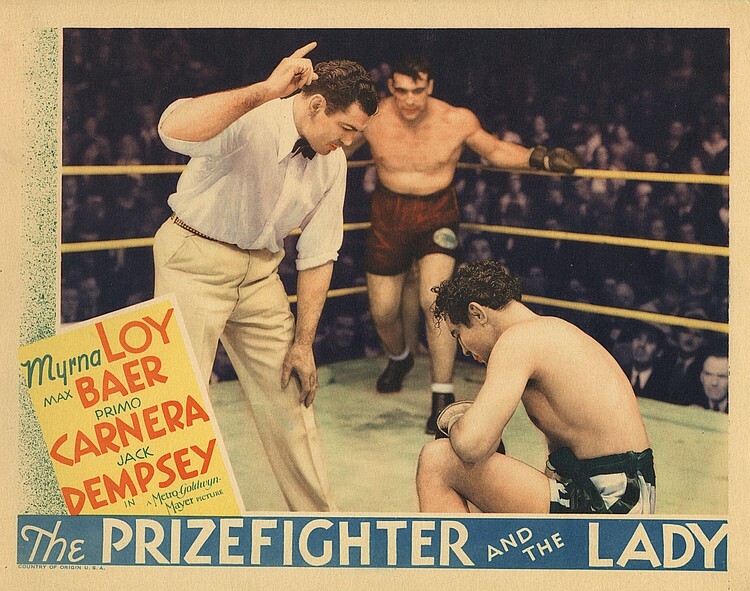 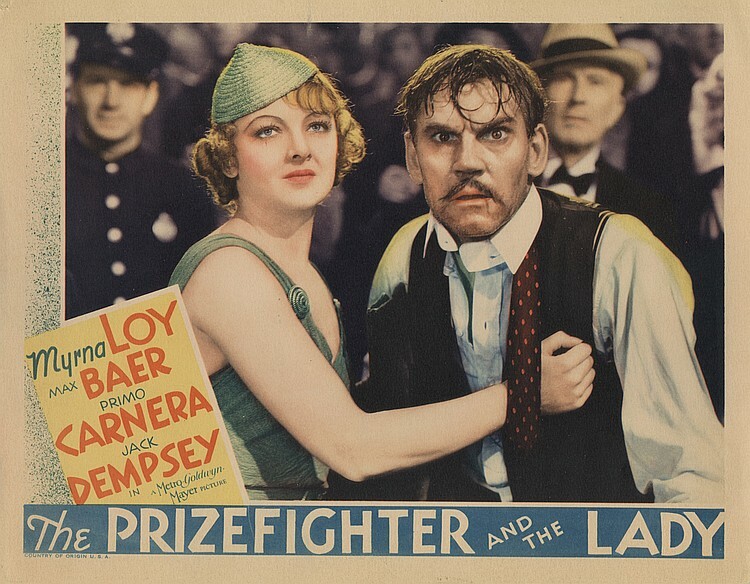 Max Baer Jr and Myrna Loy in a publicity still for The Prizefighter and the Lady (1933), a weak effort for all concerned.